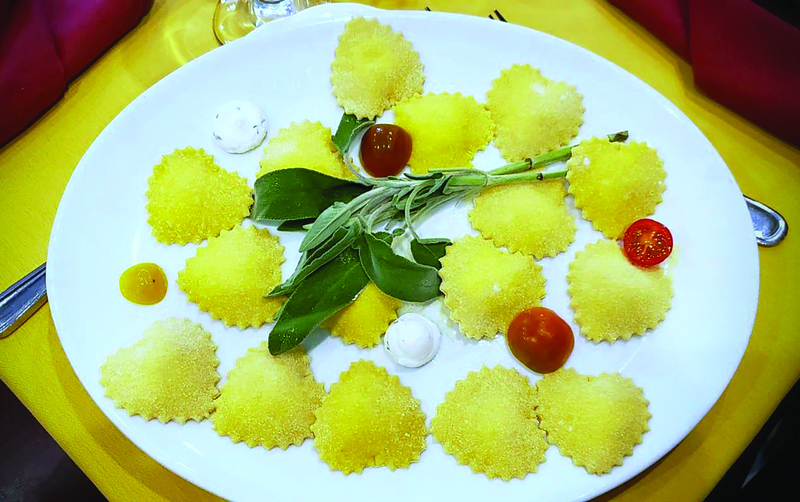 As evidenced by the five-star raves on social media, diners in Boca and Delray are delighting in the authentic Italian cuisine and familial warmth at the two Palm Beach County locations of Le Sorelle, the brainchild of three sisters (Candida, Anna and Luisa) from Ponza, a 5-mile-long island off the west coast of Italy in the Tyrrhenian Sea. “Everything we do is with love and passion,” Luisa says. 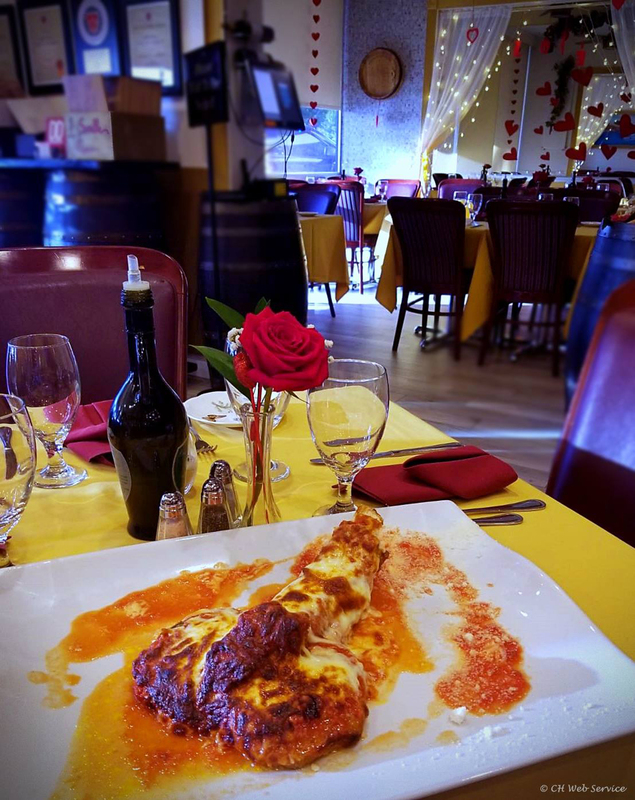 It shows in the “Cheers”-like ambience (regulars are recognized and greeted like relatives) as well as the artistic plating of traditional Italian dishes made from scratch (even the pasta is made in-house) and with the freshest ingredients—including mozzarella delivered once a week from Italy. Don’t let the menu page of white and red pizzas fool you. Le Sorelle doesn’t serve pizzeria-style pies. 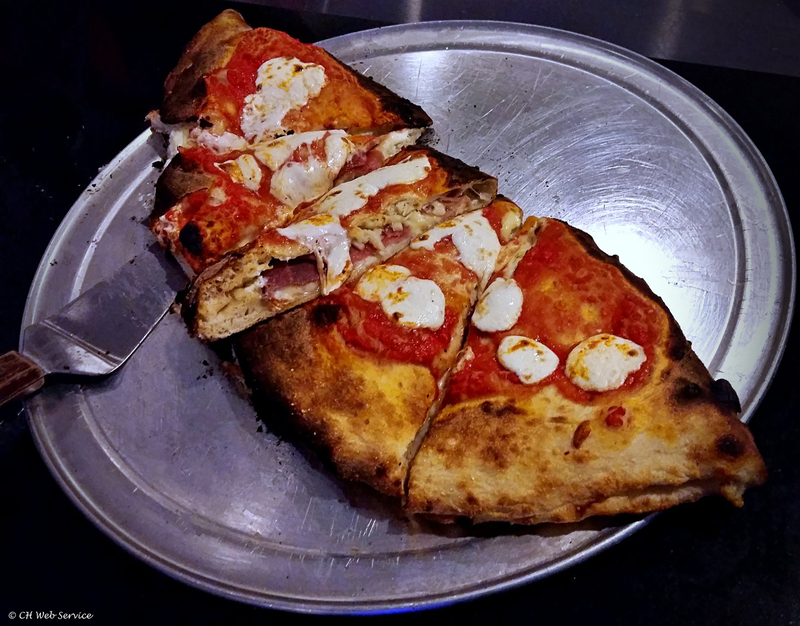 Its Neapolitan-inspired pizzas, baked for just a few minutes in a 900-degree brick oven, follow a tradition more than a century old. The signature Le Sorelle white pizza includes mozzarella di bufula, cherry tomatoes and prosciutto di parma. 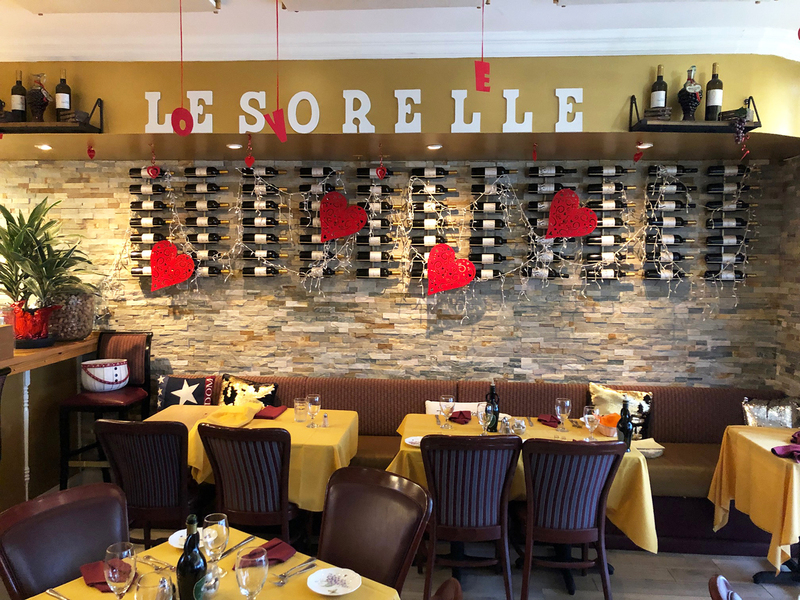 In addition to its popular veal and chicken parmigiana offerings, showstoppers at Le Sorelle include the branzino al sale; the fish is cooked with salt in the brick oven, then sliced and opened tableside with extra virgin olive oil, salt and black pepper. 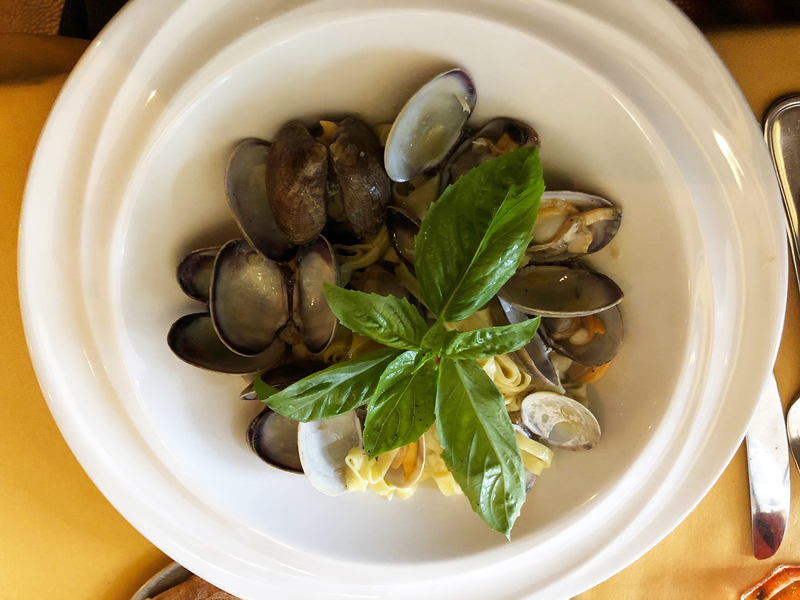 Dishes such as the linguine with clams, gnocchi and homemade heart ravioli deliver a taste and freshness unlike any pasta you’ve tried. Additional menu highlights include the weekend fettuccine lobster special; the veal chop, cooked in the brick oven and served with broccoli di rapa, truffle white oil and extra virgin olive oil; the calzone with San Marzano sauce, ricotta, mozzarella di bufula, prosciutto cotto and more; and desserts (if you have room), including crème caramel cake made with Panna cream, vanilla beans, eggs, sugar and milk.